In AD 991 AETHERIC, Lord of the Manor of Bocking, was amongst those who led men to fight the Vikings at the Battle of Maldon. The East Saxon army was defeated; but Aetheric survived until 995 and willed his lands at Bocking to Christ Church Canterbury, this became effective following his wife LEOFWINE’S death in 1006. A consequence of this is that Bocking Church, built on these lands, has enjoyed a long and interesting relationship with Lambeth Palace and successive Archbishops of Canterbury and is know as one the Archbishops ‘Peculiar’ parishes. St Mary’s is a fine large Church of flint rubble with limestone dressings to openings and quoins. The oldest part is perhaps the South Door which has exceptional and elaborate wrought iron work and is though to have been made in the late 13th Century. A little 11th Century work survives in the form of Windows retained in the later rebuilding. The East window with its flowering tracery is a fine example of the 14th Century decorated style, although its stonework is modern. The Church serves the parish of Bocking on the north side of Braintree and is a place of regular worship, ministry and prayer. In use for services every Sunday and most weekdays the Church continues to meet its original purpose as a centre for people to meet God and one another. There is a musical tradition and excellent standards in liturgy and preaching. Many come here to be married, to bring their children to be christened and to lay their loved ones to rest. It is here too that the worshipper, the casual visitor or the informed explorer finds much to express the ways in which each generation has made its mark. Here in this beautiful building are signs of lives lived in the service of others. Our aim is to add to the glory of this place by restoring it for the future and show to those who come after us that we too were prepared to give our very best. 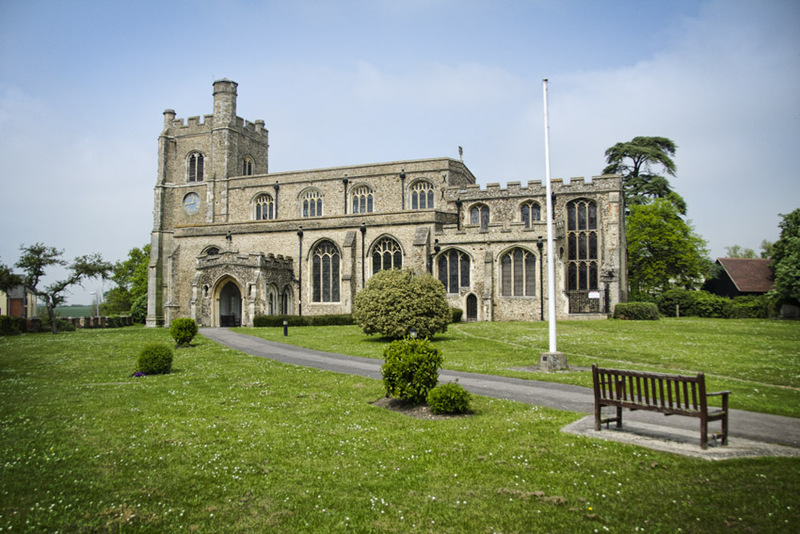 During the long and interesting history of St Mary’s Church a vast number of people have come through its doors to be joined together in marriage. A marriage is between two individuals who are in love and want to make commitments to each other for the rest of their lives. But it is also a community matter and the Church is where marriages are celebrated amongst families and friends as a couple make their vows in the sight of God. Weddings are an important part of our ministry today and the clergy are always happy to discuss personal circumstances and wishes with couples who are planning a marriage.